The Irish Yearbook of International Law (IYIL) supports research into Ireland's practice in international affairs and foreign policy, filling a gap in existing legal scholarship and assisting in the dissemination of Irish thinking and practice on matters of international law. On an annual basis, the Yearbook presents peer-reviewed academic articles and book reviews on general issues of international law. Designated correspondents provide reports on international law developments in Ireland, Irish practice in international bodies, Ireland and the Law of the Sea and the law of the European Union as relevant to developments in Ireland. In addition, the Yearbook reproduces key documents that reflect Irish practice on contemporary issues of international law. 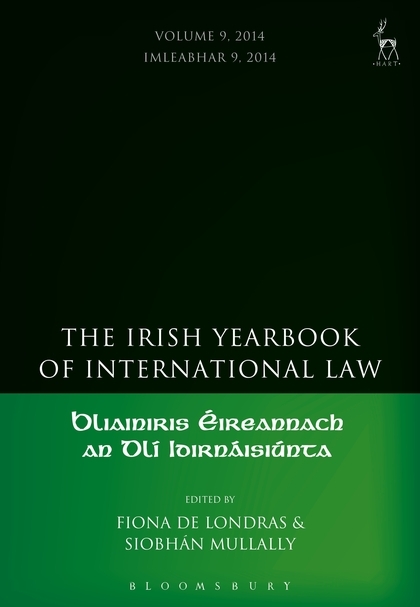 Publication of The Irish Yearbook of International Law makes Irish practice and opinio juris more readily available to governments, academics and international bodies when determining the content of international law. In providing a forum for the documentation and analysis of North-South relations the Yearbook also makes an important contribution to post-conflict and transitional justice studies internationally. As a matter of editorial policy, the Yearbook seeks to promote a multilateral approach to international affairs, reflecting and reinforcing Ireland's long-standing commitment to multilateralism as a core element of foreign policy. 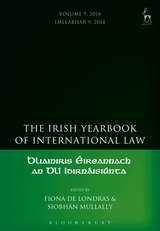 The ninth volume of The Irish Yearbook of International Law engages with contemporary issues in international law, raising questions both as to the conceptual underpinnings of international law in relation to the Responsibility to Protect doctrine, and state practice in fields such as Law of the Sea and belligerent occupation, prosecution of war crimes in domestic courts, and the evolving field of international disability law. Accountability for Violations of International Humanitarian Law in Domestic Courts: Can War Crimes be Prosecuted in Ireland? Siobhán Mullally is Established Professor of Human Rights Law and Director of the Irish Centre for Human Rights, NUI Galway.